The following is by no means an academic, or even a 'learn-ed' discussion, as Heifetz would call it. It simply summarises the two positions of the 'debate' regarding the Heifetz's birth house, without taking sides. There are pretty good arguments to make the case on either side. I only add my thoughts and doubts for either. The birth house of Jascha Heifetz on Marionio Street no. 25 in Vilnius has been commonly acknowledged for a long time. Until 2004, that is. That year, Mr Geinrich Agranovski of the Vilna Gaon Jewish community Museum, had uncovered new documents which shed a new light on the accepted wisdom. The new evidence pointed indeed to another address, albeit a stone throw away from the original one (about 150 yards apart). Agranovski's new findings are based on rather strong evidence consisting of documents written by Rubin Heifetz himself with regard to his place of abode. 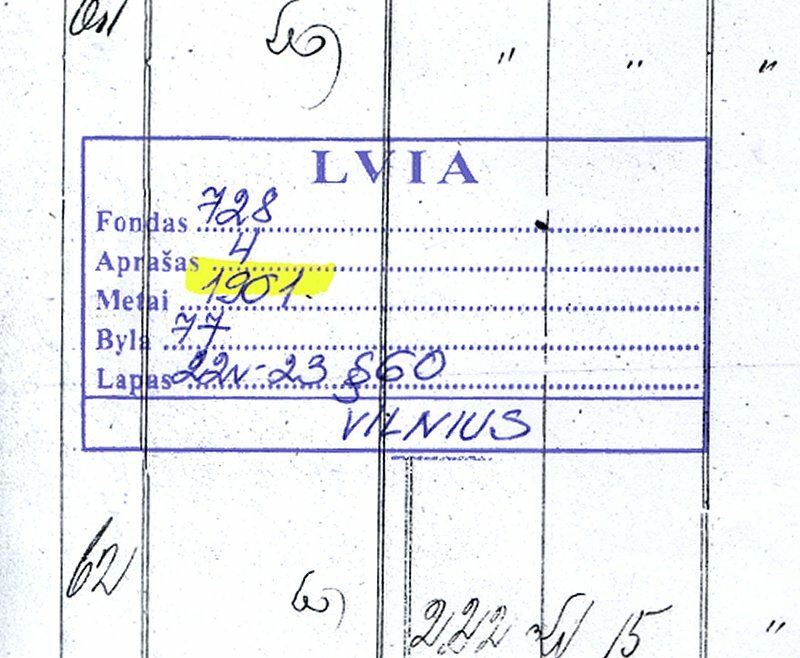 A strong case for the 'new' address is made by a petition dated 1903, addressed to the city council, in which the Jewish musicians of Vilna make request that a new synagogue be opened for them to cater for their special needs. Since most of them were busy during the day, either giving lessons, or playing and rehearsing at unconventional hours, the existing synagogues opening hours could not accommodate their free praying time. They hoped that a new schul would be opened later in the evening, allowing them to congregate and worship. The petition is personally signed by the musicians, including Rubin Heifetz, and states the latter's home address. But a birth place implies a birth certificate, or at least a birth registry. It would be interesting to analyze Heifetz's birth registration which was found among the documents (click it to enlarge). It is both in Hebrew and Russian and the clauses make fascinating reading. It gives some insight into the Jewish practices and habits of the time, some of which have little or nothing to do with authentic scripts. The Hebrew entries are extremely cursive, over-embellished with flourishes, making it difficult to decipher. The column headers gives specific instructions/examples as to what and how to record each entry, such as "Who was born and what name was s/he given, i.e. male, and his name is Reuven (sic, a random example on the form) or female, and her name is Rivka. Thus the name given to the newborn in this case was 'Iosef', born to the Polish Reuven Ben Eli(?) and Chaiu (Chaia) Bat Israel. The surname given is "Kheifetz" [or Cheifetz, as in Chaim/Haim). The next column is sub-divided into Jewish and Greek dates/counting: born in Vilna, on 13 Shvat [meaning 13th day of the Jewish month of Shvat, 20 January [year not given]. There are also the dates 20-27, presumably the latter day indicating the date of circumcision, as the header requires [if so, it was possibly a day earlier than prescribed by the scriptures]. The next column inquires about the Mohel's [person trained in the practice of Brit Milah, or circumcision] identity and about the name of he who performed a habit I personally find disturbing and repulsive which, I may add, has nothing to do with the impositions of the Torah - the "sucker". The practice was prevalent, as far as I know, in eastern Europe alone, in which immediately after the circumcision the first blood was sucked by the Mohel - how crass - by mouth. Notwithstanding the possible complications and dangers of infection, it was believed, I think, by those practicing the habit that touching the 'pure' blood of a newborn is a mitzva (why, I wouldn't know) and a blessing. I wouldn't be surprised if such barbaric habits were in part responsible for the birth of some 'blood rumours' amongst gentiles, in which Jews were supposed to injure or even kill gentile youth and drink their blood, at Passover for instance. Lest the idea may seem far-fetched, I would remind that in 1900 in the city's Regional Court (left, click) a Vilnius barber, David Blondes, was accused of having injured his maid-servant for the purpose of "obtaining Christian blood for Passover "matzot" and was sentenced to 16 months imprisonment. It wasn't until 1902 when his famous lawyer Oscar Gruzenberg filed for appeal that Blondes was fully acquitted. The last visible column inquires about the number (presumably of circumcisions) performed by that Mohel, although the column is sub-divided into males and females(!). The number 60 is listed under the male header alone. The official stamp in the middle of the page does not indicate the year of birth (click on it to enlarge). It may well stand to verify the authenticity of the document as a whole and/or indicate that the pages in question were possibly taken from that year's registry book. If so, the ongoing fuzziness regarding Heifetz's year of birth is clarified. The discrepancy and confusion between the recorded January 20th and the official February 2nd birthday derives from the many incarnations of the Russian calendar. The history of that calendar saw it changing formats many times up to the present day. Eventually the Gregorian calendar was adopted by the government to conform with the greater number of other nations. In her 1936 book The Remote Past of the Calendar, Dr. Vera Rossovskaja, astronomer of the Research Institute at Leningrad, wrote that up to the end of the fifteenth century the Russian year began on March 1. Years were counted from the "creation of the world," an event that was supposed to have taken place in 5509 B.C. (interestingly, only a couple of centuries removed from the Jewish date of creation!). Then for a brief interval the government began the calendar year with September 1, (interestingly again, only a weeks away from the Jewish New Year!) until about A.D. 1700, when Peter the Great introduced January 1 as the start of the year, adopting de facto the reckoning of the Christian era. This aroused the opposition of the Eastern Church. In the nineteenth century, because of the almost world-wide acceptance of the Gregorian calendar, the Department of Foreign Affairs used the Gregorian style in its relations with foreign countries. In 1829 the Department of Public Instruction recommended a revision of the calendar to the Academy of Science. The Academy proceeded to petition the government to accept the Gregorian calendar. Prince Lieven, in submitting the plan to Tsar Nicholas I, denounced it as "premature, unnecessary, and likely to produce upheavals... among the people." The Tsar accepted his view. But in 1918, Lenin published a decree directing the adoption of the Gregorian style "for the purpose of being in harmony with all the civilized countries of the world." The eventual adoption of the Gregorian calendar necessitated a cancellation of 13 days, instead of ten days because in the interval, three centurial years had been counted as leap years. Although the government officially accepted the Gregorian, the Russian Eastern Orthodox Church still clung to the earlier and more familiar Julian calendar. This is the reason, for example, that the observance of Christmas, on December 25 in the Gregorian calendar, comes in the Julian calendar on January 7. The ensuing thirteen days difference between the Julian and Gregorian calendar, brings Heifetz's January 20th birth date up to February 2nd. Perhaps all this will put to rest the uncertainty surrounding the great man's date of birth. And so on to the evidence before us in the debate (so bring in the jury...). The first strong indication of a different address comes from the aforementioned musicians' petition (click it to open). Rubin Heifetz clearly states that he lives on Safyannaya street nowadays Maironio Street no.19. Several points raise some doubts. First, the house is a three-story building. Second. 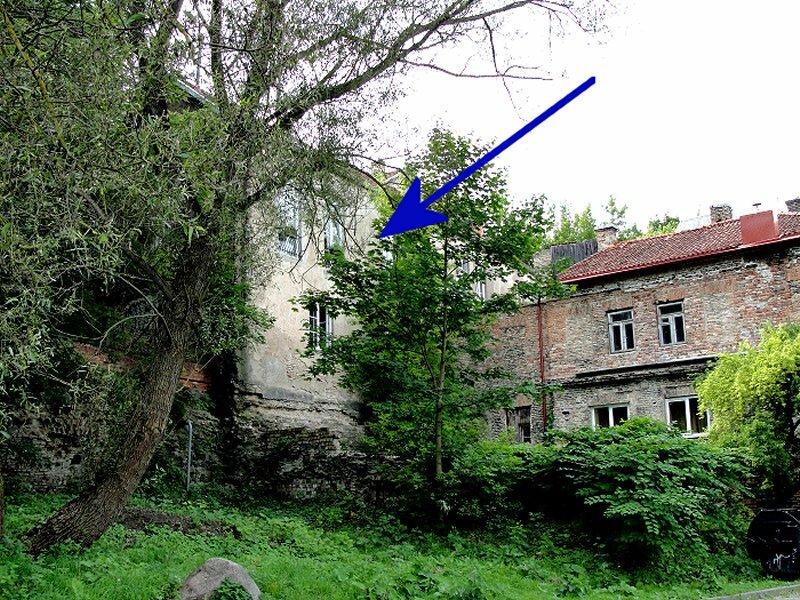 according to Aniuta Sarfstein (Heifetz's mother Ana's (aka Chaia) sister-in-law) diaries, the house in which the Heifetzes lived was only two levels tall. This seems to agree with the 'original', formerly accepted address, of a two story house. Mr. Agranovski was diligent in searching for the blueprints of the Safyannaia house. As can be seen, the house is clearly a three level building (click it to open). It certainly looks to have been an imposing, luxurious building, which belonged to one of the richest men in Vilna at the time, Mr. M. Soltz (Russian - СОЛЬЦ; he also owned other houses, in the German and Objorkya streets, for example). The house certainly looks to be above the financial means of Rubin Heifetz who, according to another source on this site (Vilnius celebrates Heifetz - Press) was a rather poor man, often at loss to make ends meet. Accordingly, when violin playing jobs were in short supply, he tried to complement the family's income within the shoe-making trade; Mrs. Sharfstein mentions Rubin's little cache of [shoe] leather at home, which he presumably tried to sell to local shoemakers. Rent of a flat within this house then, was almost certainly beyond his means. The Safyannya house owner, Mr. Soltz, was certainly aware of little Jascha's musical talent and is said to have contributed financially when the boy moved to St. Petersburg and Leopols Auer (some 300 rubles, quite a large sum in those days). Soltz's influence in the city was well recognised. 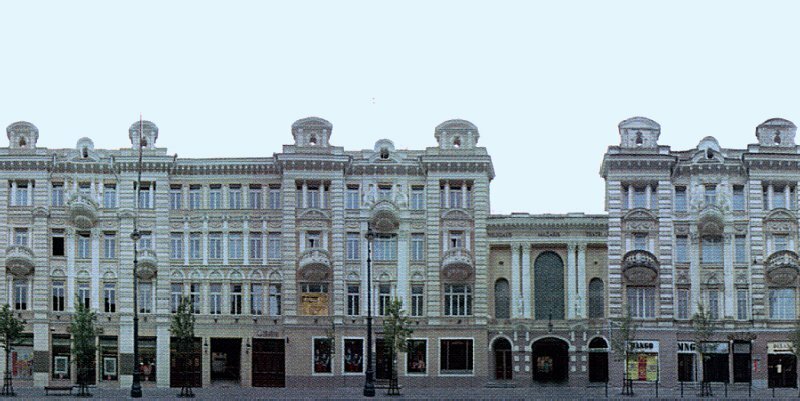 In 1906 the first election at the "City Hall for People of Intellectual Profession" (formerly the Isaak Smazhnevich building and today's Gedimino prospect 22 and 24) took place to elect the delegation of the Vilnius Province to the first Duma in St. Petersburg. Of the 80 or so electors, 50 were Jewish, among them Mr. Soltz, alongside such illustrious names as the historian Simon Dubnov, rabbis Hayym Ozer Grodzenski and Judah Leib Kantor and the famous Zionist leader Shmaryahu Levin. (The delegates however were dismissed in short order and the Duma dissolved within rather quickly, when their democratic and liberal intentions became too apparent...). As a side note, on September 19, 1909 the Isaak Smazhnevich building in Vilnius hosted a solo concert featuring the 8 year old little virtuoso Jascha Heifetz. Given the luxury of the Safyannya house, which Rubin Heifetz cites as being his address - both on the petition to the council and in the postcard - I believed that it was highly unlikely that the Heifetzes could afford it. While on location, talking to the 'Safyannya protagonists', I have suggested a way to square the contradiction while still preserving both the documents' and Aniuta Sharfstein's recollections authenticity. As it happens, a rear building which is physically connected to the imposing front house, also bore and still does, the same street number. The rear house is far more modest and less elegant and, as it also happens, it is a two-story building, just as Mrs. Sharfstein had recalled the Heifetzes house to have been. 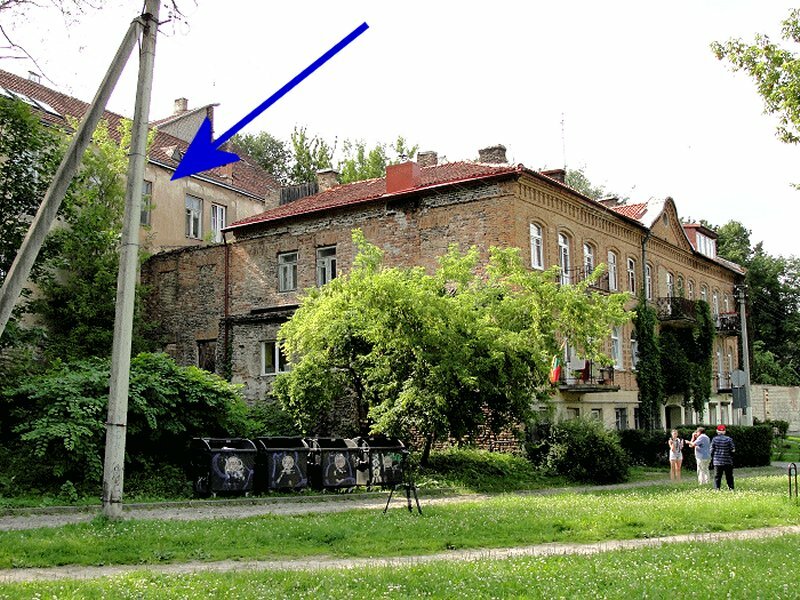 It is therefore not beyond the realm of possibility that the Heifetzes had actually occupied a small flat in that rear building, identified in the photos sequence by the arrow (click to enlarge). If my assumption is correct, it would have enabled Rubin to sign his address as Safyannya Street. My theory was generally accepted as the most possible explanation. 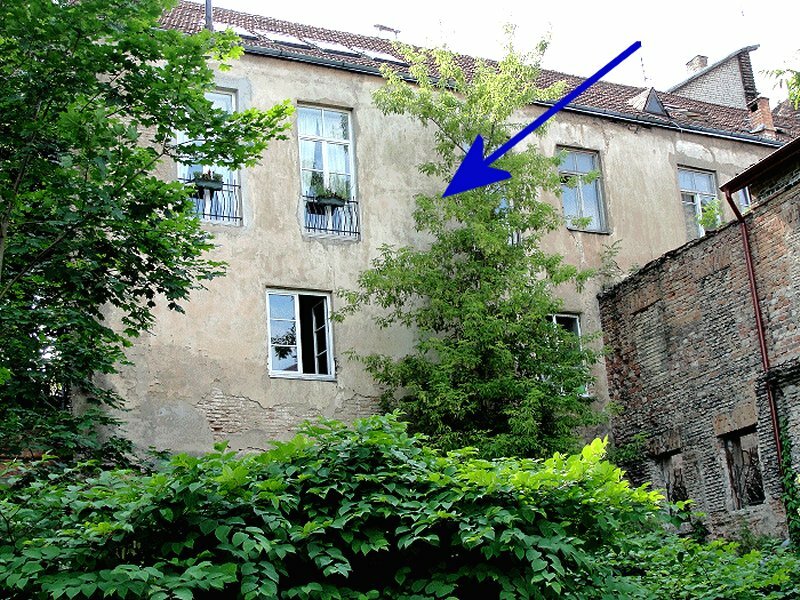 So, perhaps the Heifetz did actually live at Safyannya 3 after all, from as early as 1903, when Heifetz was two year old. This of course does not preclude the possibility that they might have previously lived at Maironio 27 ('old' house) and that Heifetz might have well been born there. It is known that the Heifetzes lived at different times at more than one address in Vilnius, and there still exists a third address... But this is the subject for another article. In view of all the above, it won't come as a surprise to find local Heifetzofiles ('if I may coin a word', as Heifetz would say) being divided into two camps: those who believe the original address to be authentic, and those who believe the 'new' address to be the correct answer. The Vilnese (another poorly-coined word), Messrs. Agranovski and Greismanas and to an extend Maestro Sondeckis, seem to be in the 'new' camp; the Petersburgers (I guess I must stop coining words), Mmes. Galina Kopytova and Albina Starkova-Heifetz seem to stick to the older version. Maestro Sondeckis though, put it all in a better perspective: "It matters little which version is true - after all the two houses are in the same neighborhood, only 100 yards apart. What matters", he says, "is that Jascha Heifetz is a son of Vilna, our son, and the city must do all it can to celebrate and preserve his memory and the places in which he lived and studied. As our centenary booklet says 'Paganini was born in Genoa, Heifetz was born in Vilnius' ".